Everyone knows the story of Merlin, the wizard genius behind Arthur’s reign. As the Vintage News reports, a chance discovery by historians at the University of Bristol added a new angle to the old tale: dragons. The historians found a set of important 13th-century manuscripts hidden inside a younger book. The manuscript fragments contain extracts from a previously unknown version of the Vulgate Cycle, a set of Old French texts that tell the story of King Arthur. The seven handwritten fragments of parchment tell a familiar story from the Vulgate Cycle, but with a number of key differences that may shed new light on the history of the Arthurian legend. The story of King Arthur and his wizard Merlin was a popular medieval romance, most notably written down as Le Morte d’Arthur by Sir Thomas Malory in the 15th century. However, it is likely that Malory used another group of texts as his inspiration, otherwise known as the Vulgate Cycle or the Lancelot-Grail Cycle. The Vulgate Cycle contains several slightly different renditions of the story of Arthur, and it is thought that this manuscript is from another version of the same tale. The manuscripts discovered in Bristol relate the strange prophetic dreams of King Ban’s wife Elaine, and Merlin’s encounter with a woman named Viviane, with whom he falls in love. The events related are also known from other passages from the Vulgate Cycle, but the details of the story are somewhat different. The fragments also describe a battle at Trebes in which Arthur, Merlin, Gawain and other knights fought against King Claudas. Merlin and Arthur are developing a strategy for the attack, and Merlin gives an impassioned speech to motivate the beleaguered troops. 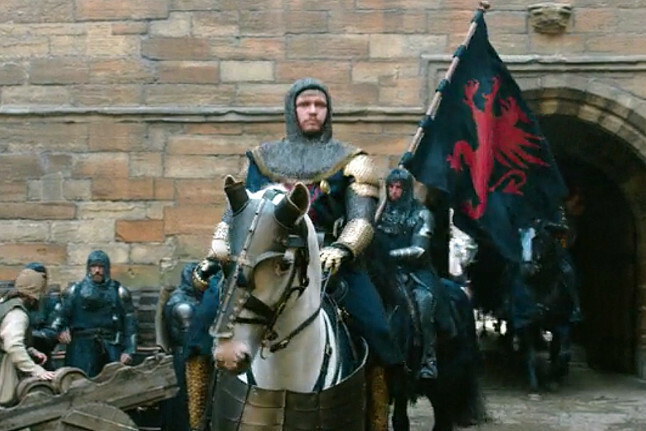 He then leads the charge using the special dragon standard belonging to Sir Kay, which miraculously breathes real fire. Arthur’s forces are triumphant and the battle is won. Interestingly enough, this tradition may be echoed in the dragon banner; England’s war flag during times of battle, which sports a scarlet red dragon on a black flag. As described by Decider, while the dragon banner is raised, the codes of chivalry are ended and no quarter (i.e. mercy) will be given to the enemy nor anyone who shelters him. And while today, the word “chivalry” basically pertains to men holding doors open for women, back then, the codes of chivalry were the rules of proper conduct for knights, whether in battle or at home. I enjoyed Nicol Williamson’s portrayal of Merlin, in the film ‘Excalibur’. (1981) If you have never seen it, I recommend it as great fun. That has to be the greatest movie on the subject, and is one of my favorites. I always choke up when I watch that ride through the woods, O Fortuna (Carmina Burana) blasting through the speakers. To me, it’s as seminal as the famous helicopter scene from Apocalypse Now. Fascinating story, Nicholas. 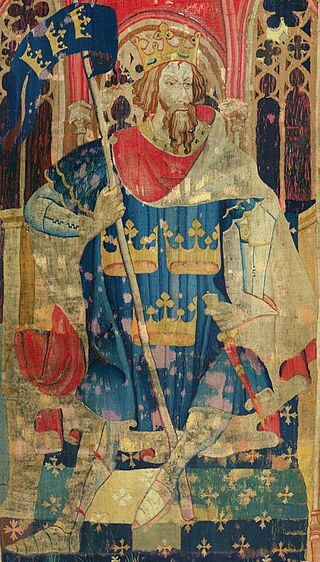 I always thought that dragon banner was derived from King George and the dragon. Interesting. 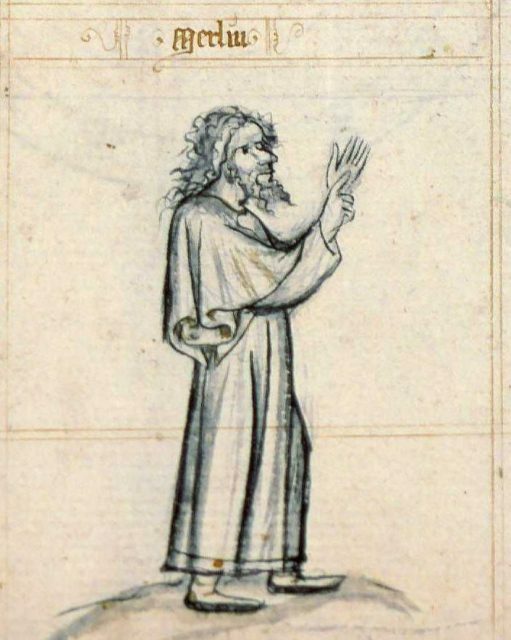 Merlin was supposed to have been a cambion, too.